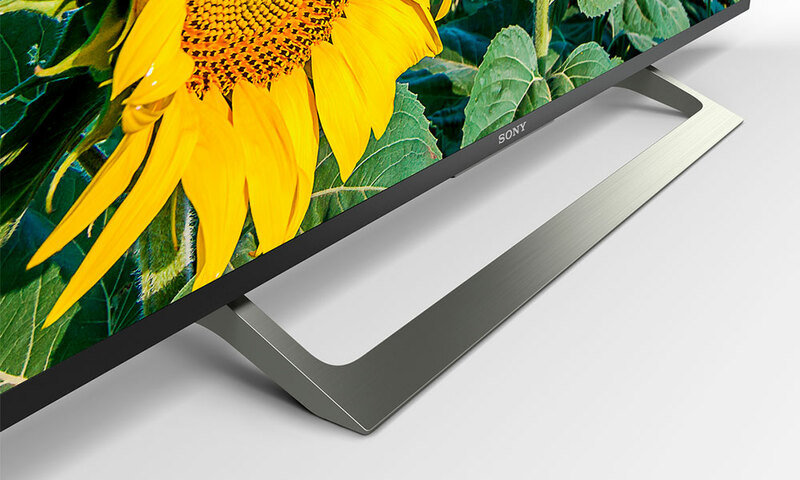 Sony has introduced a new range of televisions for 2018 with a lot of focus on the latest features and specifications. 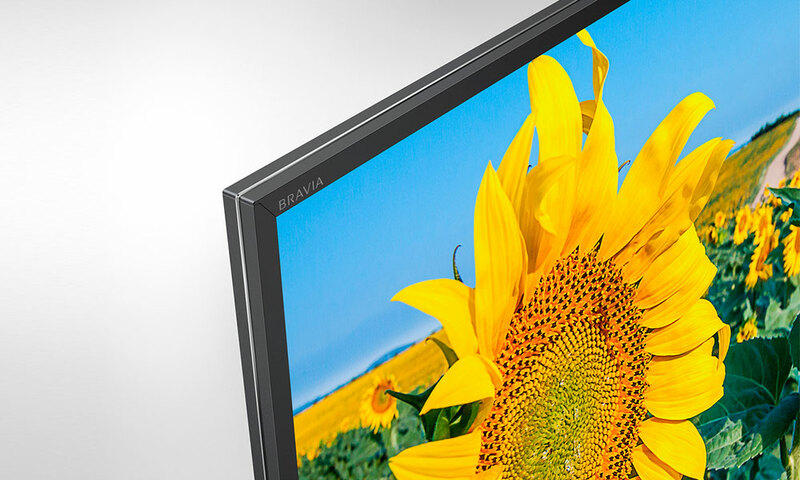 The XF80 Bravia range is a great example of this, and a pretty one too. We immediately noticed just how slim this TV looks. The black aluminium bezel and a metallic pinstripe around it gives a real look and feeling of quality. This is emphasised by how easy it was to hide cables in the silver stand. It comes in 43”, 49” and 55” sizes, so these can suit living rooms or bedrooms. I tried the 49”. 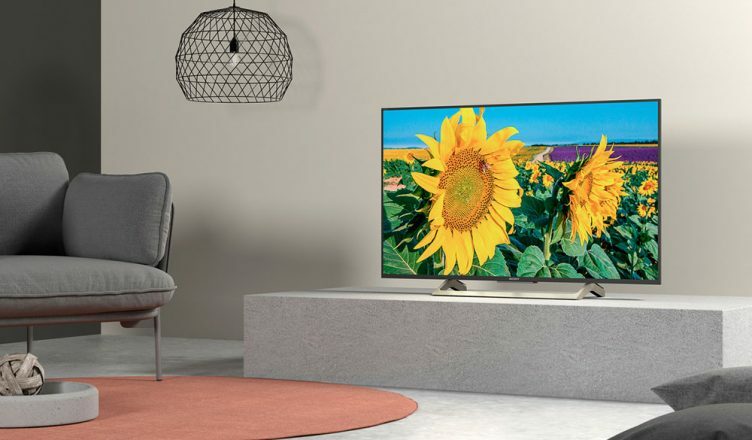 Sony use in-house technologies for their televisions, and these are the reasons for the improvements in image quality we have seen across the ranges. The XF80 features a Triluminous panel, the X-Reality Pro engine and XR400 motion. Each of these is easily explained, and helps to discern between Sony models. 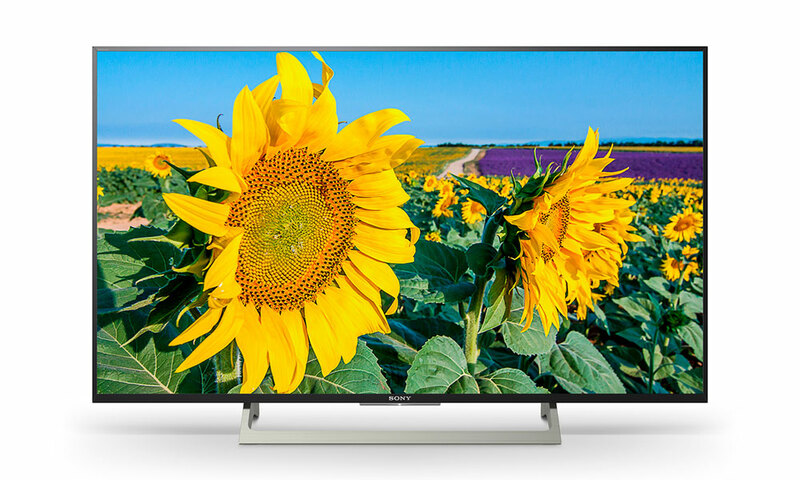 Sony uses their Triluminous panel technology in this set – this is what distinguishes it from more basic 4K models. The panel in this set is capable of showing a wider range of colours, making the most of reds, blues and green, while maintaining skin tones. The difference is a more vibrant image. The X-Reality Pro engine upscales image detail to create a sharper image, while the XR400 specification helps with motion. Have you got an Alexa system? Rather than passing a remote around, simply change the TV volume with a few words, or quickly pause a film on a Bluray player by asking it to. This can be faster, and definitely a lot more fun and convenient than using a remote. The more in a house responds to this technology, the more you see what it can do for you. This set can show content from BBC iPlayer, ITV Hub, All 4 and Demand 5 – if you miss a show from this range of channels, you can watch it when you choose through the TV, simply by browsing backwards in the guide. This is great for browsing, without having to navigate through different apps and menus. As used on many phones and tablets, the Android platform was developed by Google. Being based on Android means some of the most useful apps such as Netflix, Amazon Video, Youtube and Google Play are ready to use. Simply press the ‘Home’ button on the remote to bring these up, with the 4K content they can offer (depending on subscriptions). Chromecast is a strong benefit to Android models – rather than viewing videos and photos on your smart phone, you can stream content straight to the television, over a WiFi connection. There are more apps than you can shake a USB stick at, and if you run low on space for them, you can even pop said USB stick in to the set to expand the inbuilt memory. High Dynamic Range is a technology to show more levels of light and dark in an image, and improve shades of colour. Specifically, the XF80 features HDR10 and HLG. HDR10 is the improved colour standard already adopted on sources such as the latest games consoles, so it will work with anything using this. HLG is the transmission technology for upcoming 4K broadcasts, meaning this model is ready for these channels. If this sounds like it does what you are after (and likely more), pop in to your local storefor a demo, buy online, use our Click & Collectservice to pick one up in as little as one hour or get in touch to find out about renting from the Sony XF80 range. Rental prices start from just £10.38per week so owning the latest tech needn’t break the bank! Roberts Radio Competition – Music to your ears!